Oh, I enjoyed colouring this one. Who doesn't know someone like this sassy girl? 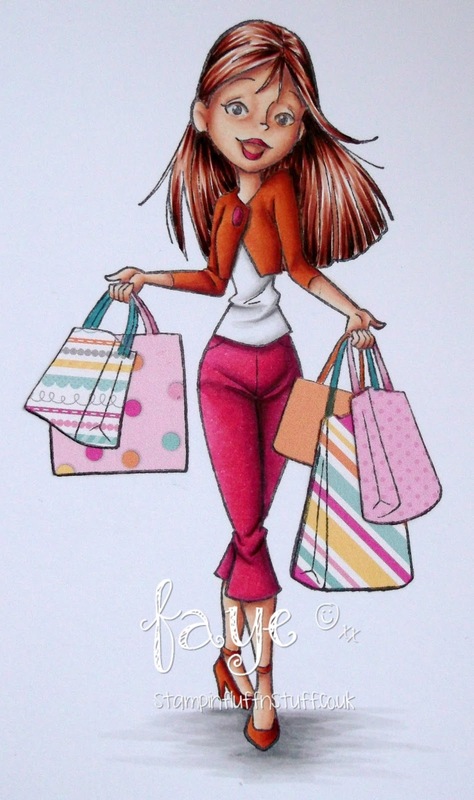 Of course, you can't get your mitts on Erica Shopping until tomorrow. But you can think about her all day while you wait!! You are such a tease Faye. She is gorgeous and you have used such lovely colours and papers here. Sassy is right! What a great card. I really like the colors you chose and the paper piecing you did on the bags. Very fun! This is gorgeous Faye, I love the image, stunning colouring and fabulous paper-piecing too. 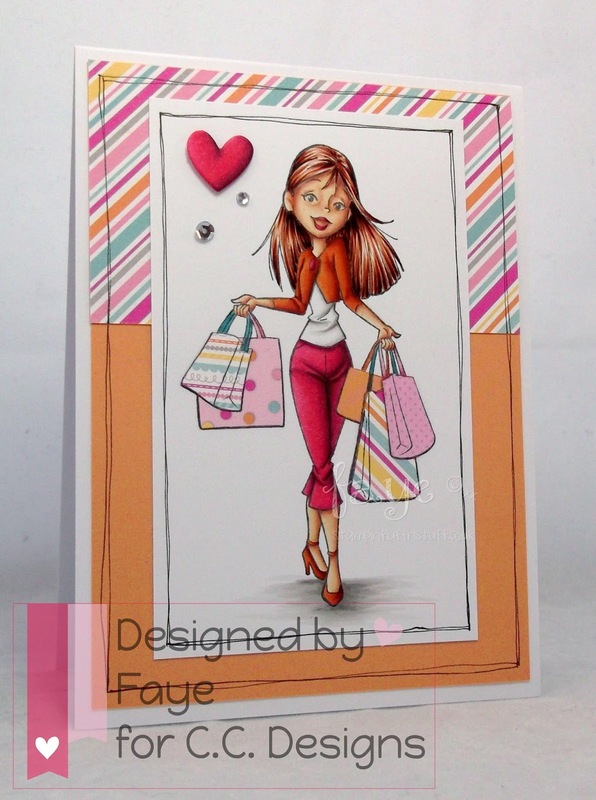 First of all it is such a great must have stamp, love the colouring and colour choice Faye. And the paperpiercing and lovely papers.. Wow great crad! I'm a bit speechless (yeah unusual I know)... at your colouring here............ JUST WOWWWWWWWWWWW!! !